“Obee” from Singapore’s Bamboobee has crossed the Bay of Bengal and landed in Gili Lankanfushi Maldives. Gili Lankanfushi is one of the most exclusive resorts in the Maldives. The eco-friendly bike made from sustainable sources of Bamboo has found a niche amongst the environmentally conscious hotel industry. Ibis Hotel and Jen Hotel (former Traders Hotel) are some of the hotels in Singapore where you can experience a ride on the Bamboo bike. The use of bicycles is not a new idea to the island nation. It is widely known that the Sultans rode them, and so did the cabinet ministers and the elite. Bicycles were the only mode of transportation until the introduction of cars in the late 60s and early 70s. The police force had previously purchased 500 bicycles to be used for patrol. A number of island resorts offer bicycles and bike tours such as Hideaway Beach Resort &amp; Spa, Soneva Fushi and Sun Island Resort &amp; Spa. In the 70s key events such as Independence Day or Republic Day are marked with bike rides around the capital. In 2010 when climate change awareness events in collaboration with 350.org was held in Malé, along with the world famous underwater cabinet meeting, the entire cabinet members marked the day with a bike ride in the capital Malé. More recently in September 2014, United Nations Development Programme (UNDP) in Maldives and the Ministry of Tourism of the Maldives, held a bicycle ride in Hulhumalé, with the purpose of raising awareness and engaging the community on the issue of climate change through promoting the use of bicycles or non-motorised vehicles as a means of transportation in the Maldives. The Singapore company – Bamboobee, designs and produces its own bamboo bicycle products and accessories, since it began its operations online on April 2013, has sold more than 200 bicycles, with a premium price of each costing USD$1200 to USD$3300. Bamboo is strong and durable, having higher tensile strength than many alloys of steel. Bamboo also regenerates fast and can be continuously re-harvested every 3 years­ this means the supply of bamboo can be more constant and regular and sustainable. As a raw material for bicycles, and given the right engineering, bamboo bicycles can perhaps be a more natural looking and long lasting mode of transportation for a country like Maldives where the islands are so tiny that everything is affected by the salt carried by the sea breeze. For Bamboobee, its advantage is that it uses the lost Chinese practice of using honey wax to strengthen its bamboo. Bamboo bicycles have been around for a long time, with the first recorded bamboo bicycle showcased in London in the year 1894. In the last 20 years however, there seems to be a surge of bike builders offering these bamboo transportation to the wider masses; From Craig Calfee of Calfee Design headquartered in California, USA, to Flavio Deslandes, a Brazilian industrial designer based in Denmark, and here in Asia a Singaporean by the name of Sunny Chuah, the founder of Bamboobee. Asia’s bamboo bike builders also include Kawayan Tech Bamboo Bikes based in Quezon City, Philippines, Bambike based in Manila, Philippines, Bamboo Bicycles Beijing based in Beijing, China, and Burma Bike Partnership based in Burma, or what is also known as Myanmar. Each of the abovementioned bamboo bike builders have a different history, business structure and purpose, and of course their designs vary as well. 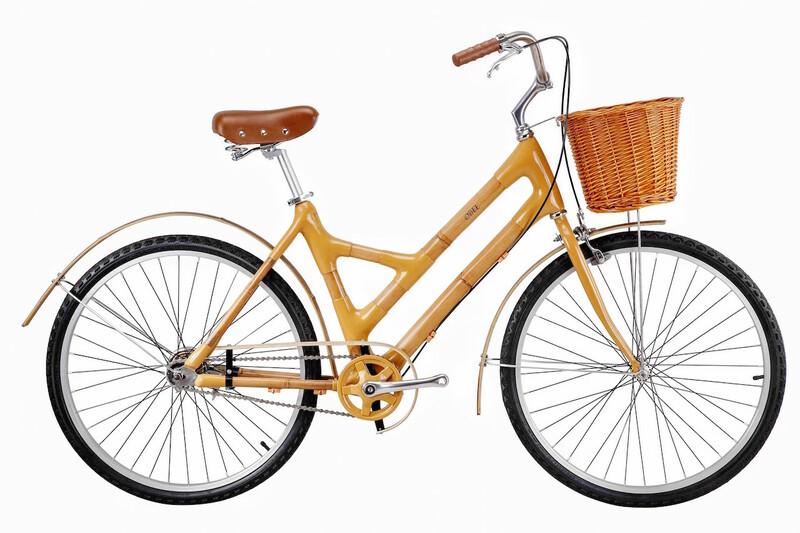 In a way, this gives consumers a wider range of options to choose a bamboo bicycle that suits ones preference, taste and budget. Lastrina is also a volunteer-coordinator with 350 Singapore. 350 Singapore was founded by Young NTUC in March 2010. It is the Singapore chapter to the global 350.org movement. 350 is widely believed by many scientists to be the safe upper limit of carbon dioxide in the atmosphere, measured in parts per million.